The Spanish league season came to an end on Saturday, as did the 2015-16 scoring battle between Lionel Messi and Cristiano Ronaldo. Cristiano Ronaldo scored twice to seal victory in his head-to-head league goals battle with Lionel Messi, but the Real Madrid forward suffered double disappointment as Real Madrid missed out on the league title to Barcelona, for whom Luis Suarez scored a hat trick to claim the Pichichi award for top scorer in La Liga. Ronaldo's goals came in a 2-0 win at Deportivo La Coruna. In just 45 minutes of play, the Portuguese forward also hit the woodwork twice. Messi, meanwhile, got all four of the shots he took on target against Granada, but failed to find the net. Cristiano Ronaldo scored more goals than Lionel Messi in La Liga for the third straight season. 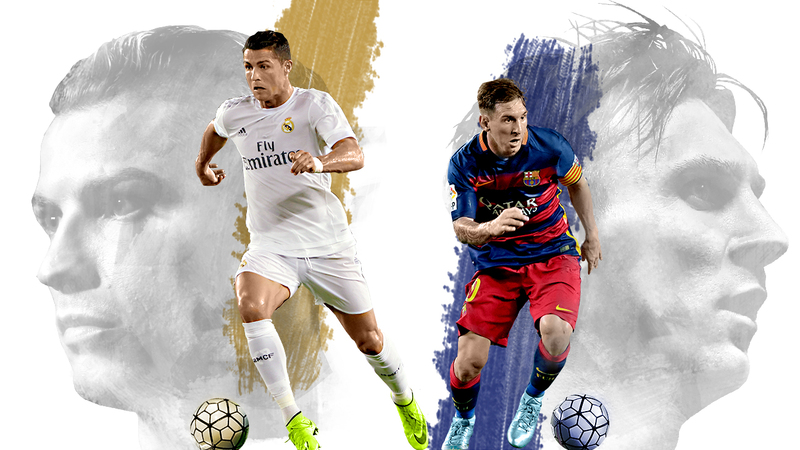 Here's what our club bloggers had to say about the latest performances of Ronaldo and Messi. Ed Alvarez on Ronaldo: 9/10 -- After 33 minutes, he had scored twice and also had hit the post twice more for good measure. He's recovered physically from his injury three weeks ago with no apparent limitations and seems as hungry as a young player trying to make the first team. In an unprecedented decision, Zinedine Zidane replaced him at half-time. The Liga title and the race for the top scorer title were over after Suarez's performance in Granada, so there was no reason to put Ronaldo's health at stake. Lee Roden on Messi: 7/10 -- One dangerous diagonal pass aside, the No. 10 struggled in the first half, dribbling into dead ends and putting too much weight on his delivery. He was better after the break, though, when he tested Andres Fernandez with a good free kick and had a greater influence on the game from a central position, shown most clearly by the neat through ball that helped create Barcelona's third goal. How did Twitter react to the pair's latest displays? Back in August, on the eve of the new season, ESPN's projection model predicted that Ronaldo would score more goals than Messi in 2015-16. Both men fell short of their estimated totals, although it should be noted that the model calculated its numbers based on each playing all 38 games. As it was, Messi missed five matches and Ronaldo was absent for two. Before a ball was kicked in La Liga this season, these were the goals projections for Messi and Ronaldo. All season long, ESPN FC, in conjunction with ESPN's Stats & Information group, forecast the scoring battle in La Liga between Messi and Ronaldo using a specially designed projection model.